Insider-Search is excited to announce that Google has promoted our partner status to its Premium level. 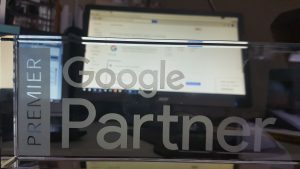 As an official Premium Google Partner, we look to continue to service our clients with the highest level of honesty, respect and dedication. In a sentence, we have narrowed it down to hard work and attention to detail, whilst thinking outside the box. That’s enough cliches for today. 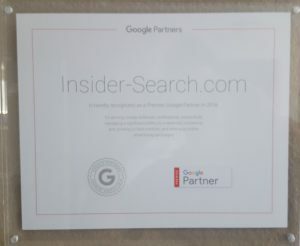 Insider-Search–> your newest Premium Google Partner! Categories: addiction rehab marketing, addiction rehab marketing company, affordable ppc agency, affordable ppc manager, alcohol rehab ppc, drug rehab marketing, drug rehab marketing agency, Goolge PPC professionals, local ppc, local ppc expert, ppc for rehabs, ppc marketing consultant, premium google partner, rancho ppc, rehab ppc agency, rehab ppc manager, and rehab ppc marketing. Tags: addiction rehab marketing, addiction rehab marketing agency, addiction rehab marketing company, corona ppc company, drug rehab marketing company, fontana ppc company, google premium partner, local google premium partner, rancho ppc company, riverside ppc company, san bernardino ppc company, and upland ppc company.